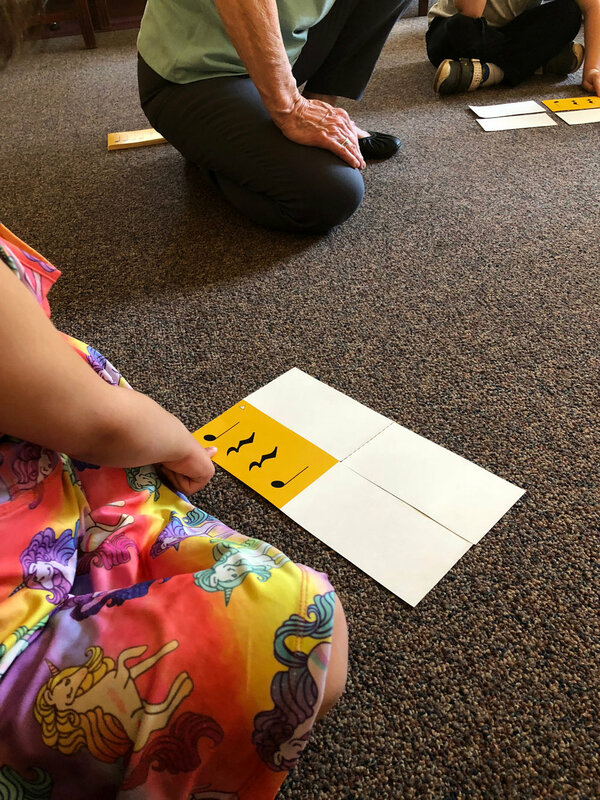 This class provides a perfect introduction to music for preschool and elementary school students. By singing, moving to the beat, listening and playing a variety of instruments, young children acquire a musical foundation that will benefit their chosen instrument or singing later. They also enhance language, self-expression, imagination, motor function and sharing skills. Parents are asked to sit in with their children. Classes are divided into age groups for toddlers, preschoolers, pre-kindergarten and kindergarten students. Piano Class is part of the developmental sequence of the MusikGarten curriculum. A group class where children explore the music, dances and stories of different cultures. Activities include singing, listening, creative and structured movement, playing instruments and ensemble work, ear training and guided listening which establish a foundation for music literacy. Family materials include 2 CDs, notation games, song sheets and a parent book. A group class that celebrates your child’s love of nature and growing independence through musical activities focused on the seasons. Classes are designed to build attention and self-expression and include singing, chanting, moving, listening, musical games, exploring musical instruments, creative movement and storytelling. Family materials include 2 CDs, animal picture cards and a parent book. We also start private lessons on most instruments at age 6.